This movie was pretty long but all in all I would say it was a good movie. It provoked a new found interest into WWI and the fact the the movie focused all of its attention to the last week or so that Hitler was in power from the perspective of those in the bunker with him in Berlin was interesting. The german guy who played hitler was very convincing and intense and it was eai to watch how faithfully those around him followed him to the end. Without giving to much away the end was almost sureal with the way each officer valued thier lifes and how much tinnel vision fell upon the camp. 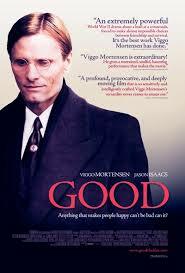 It was worth seeing and a nice mix of docu/drama. At first glance I can see many people finding this movie a bit campy at times and unnessacarily perverse or gory. For those that give it a chance and take the movie in has a whole, not only as a parody but a desertation on the human condition, they will get hours of pleasure afterwards in debate and conversation with friends. The movie is set in a aletrnate unniverse where Nixon has been re-elected 8 times vietnam was won and vigilatism became an acceptable government backed measure against war and crime; those vigilantis dawned costumes to protect thier identity. 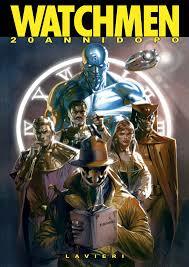 No charatcter has any super powers except for one, Dr. Manhatten. The author does an excelent job at poken fun at man kind at thier unnessacary need for right an wrong. Each character eggegertated a principle of man kind. I feel like one could write a paper on this movie a hundred times over…..My brief character anylization would be The comedian realized that anyone who thought there was a right and wrong was fooling themselves and he acted on what he as a human fealt like doing with no restriction, Royjcak was idealistic to his core and could not comprimise becuase of those ideals weather it was life or death, Teh Night Own was a man who stood on the side lines, Vic thought he knew what was best for humanity and in some ways was right but was to logical to find the passion in life, and to me dr manahatten was Christ or god where he had all the power in the world but never actually did anything when he was needed all looked to him for answers and used him to fight wars he was an impotent giant in was…..like I said one could go for hours on chatacters and the ploty etc but this is a blog post and not a paper so I’ll stop there but there is depth in this movie that can get you thinking if youlet it. Two Nazi German movies in 1 week. Makes you think a bit about where we hav been as a people. 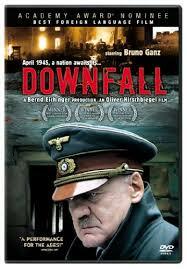 Like Downfall Good depicted a not so tipical depcition of nazi germany. Set in the periphrelas of the WW II era Good gave a glimpse into how basic life was in Nazi Germany. How friends were seperated and a crazy leader reshaped the country and its people through power, elitism, seperation, persuasion, and propeganda. Its easy to say how could anyone do this when it comes to Nazi’sm, whats harder to do is truly try to undertsnad how regular people came to the conclusions they did. The main character was a depiction of how every single comprimise on the smallest of levels can , althought not always, lead to one loss of relatity or belifs. I think the movie tended to jump around a bit to much and didnt flow as much as I would have liked. I personally didnt like the main charcters voice and over timidness, but it may have been impotant too show how his like of passion or ability to be concered with events unfolding led to his life being decided for him and being inndiferent doesnt neecesarily make you good.